Former Philadelphian Alan Stein has achieved great success in the fields of high finance and California State politics. But it’s his accomplishments on the basketball court that have earned Stein induction into the Philadelphia Jewish Sports Hall of Fame. Stein was a two-sport star at Overbrook High School. He earned three letters on the varsity baseball team and was a star on the basketball squad that won the Public High School Championship in 1947-48. Stein was selected as 2nd team All City and won the Aaron Bodek Award as the Outstanding Player of 1948. It was at Columbia University that this talented student-athlete really came into his own. Stein concentrated solely on basketball and had an outstanding collegiate career, twice being an All-Ivy League selection. In his first year on the varsity in 1950, the Columbia five enjoyed a strong season with a record of 22-7. 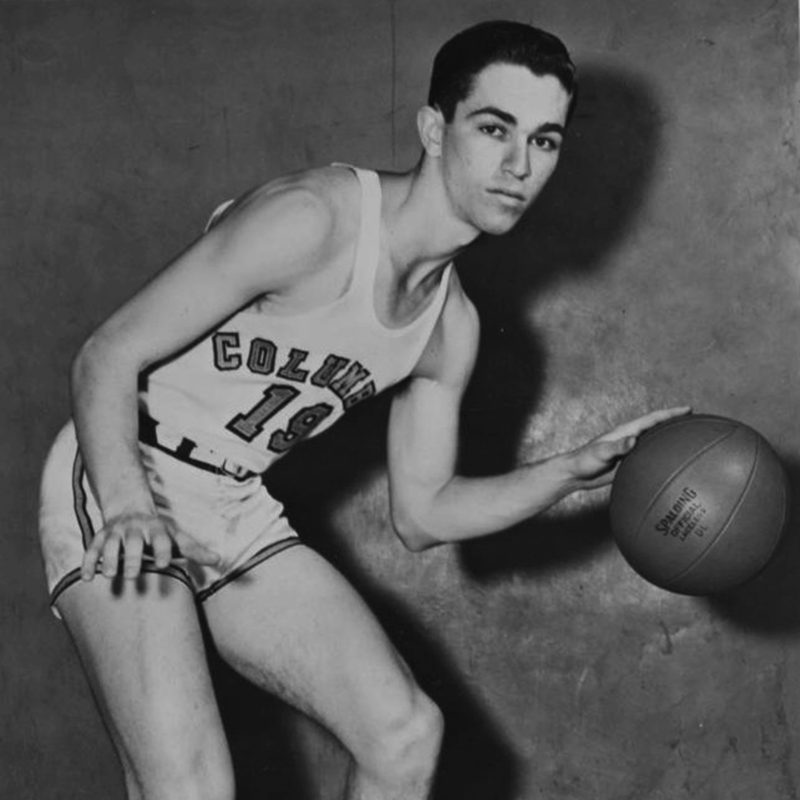 In 1951, Stein was a key member of Columbia’s undefeated team that went 22-0, ran away with the Ivy League title and ranked third in the nation. It is considered the finest basketball season ever in the Lions long history. Stein was elected captain the following season and again the guard was one of the top players in the conference, finishing fourth in the league in scoring and being named first team All-Ivy. Though they did have a winning season at 16-10, Columbia was unable to repeat the unprecedented success of the previous year. After Graduating from Columbia, Stein earned an M.B.A. at Harvard then began employment in investment banking when he joined Goldman Sachs on Wall Street. During his 22-year career there he rose to a partner in charge of corporate investment banking for the West Coast. In 1978, as the only Republican in California Governor Jerry Brown’s administration, Stein was named the state’s Secretary for Business, Transportation and Housing. Two years later, he accepted the post of associate Dean for Executive Education at Berkeley’s prestigious Haas School of Business. Later, he built San Francisco’s fledgling Montgomery Securities into a national presence. Stein has been active in the cultural life of his adopted city as Chairman of the Board of the American Conservatory Theater and President and Trustee of the San Francisco Museum of Modern Art. He was the founding Chairman of the Bridge Housing Corporation which is a non-profit developer of affordable housing. He has kept his ties to his alma mater as a member of the Columbia College Board of Visitors. Stein continues to reside in San Francisco with his wife.